We love to eat cheesecake at our house! 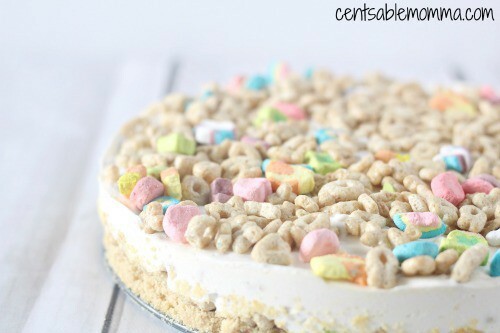 This Lucky Charms Cheesecake recipe adds a bit of whimsy to a regular cheesecake and is perfect for St. Patrick's Day. 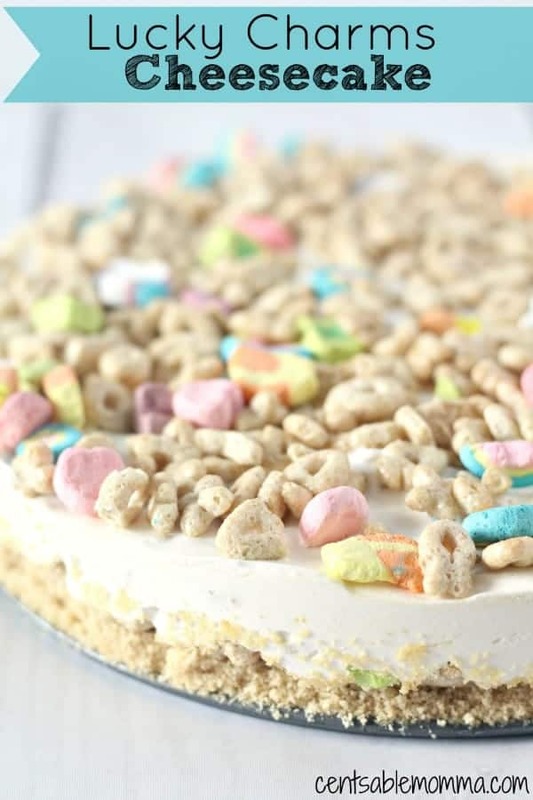 The crust is made of crushed Golden Oreos with a layer of Lucky Charms, cheesecake, and Lucky Charms for a fun no-bake cheesecake recipe. 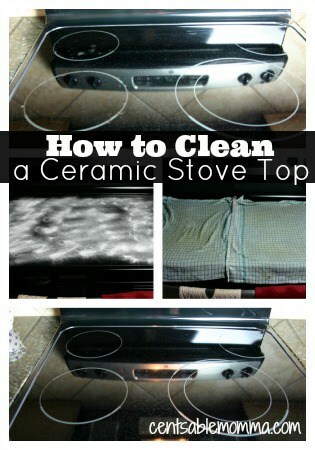 Start by separating your Oreos. 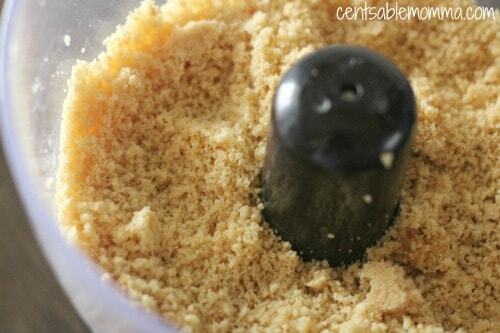 Place the cookies into a food processor, and process them down until fine. Gradually add melted butter, until cookies become slightly moist. (Wet sand consistency.) 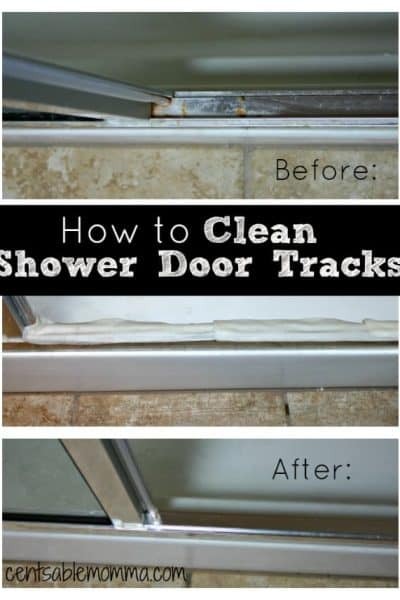 If you do not use all the butter that is okay. Mix well. 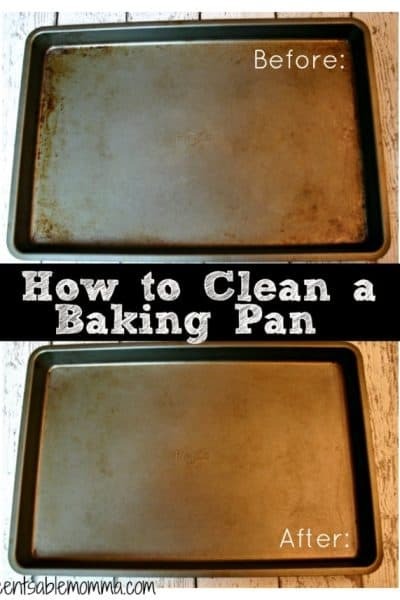 Press cookie mixture into the bottom of a greased cheesecake (springform) pan. Press firmly. 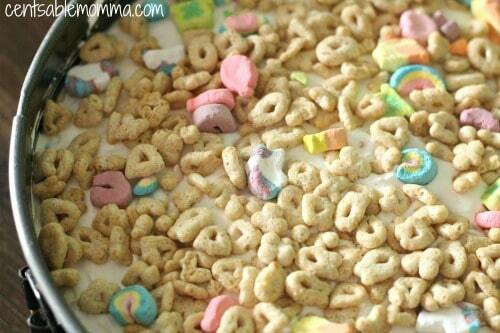 Sprinkle Lucky Charms over your crust and gently press them into the crust with your hand. Next add the cream cheese, cool whip and sugar into a large mixing bowl and mix until smooth. 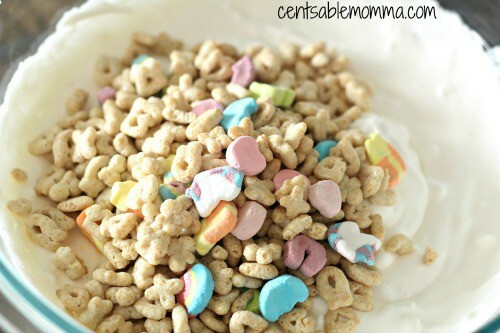 Add in 1 cup of Lucky Charms and stir by hand until well blended. Pour cheesecake batter over crust and smooth out evenly. Sprinkle Lucky Charms on top of cheesecake batter. 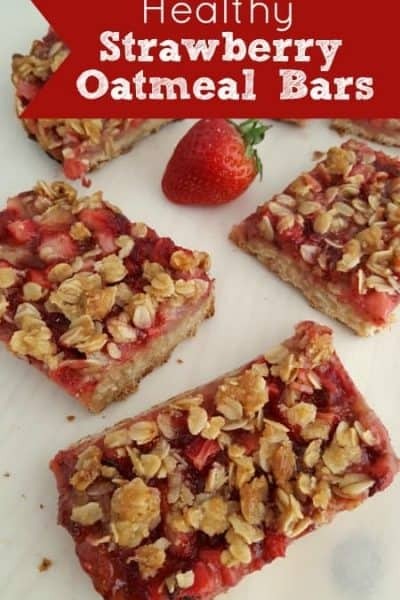 Place in the fridge for 3 hours, and place in the freezer for one hour. Start by separating the Oreos. Place the cookies into a food processor. Gradually add melted butter, until cookies become slightly moist. (Wet sand consistency.) If you do not use all the butter that is okay. Mix well. Next add your cream cheese, cool whip and sugar into a large mixing bowl and mix until smooth. 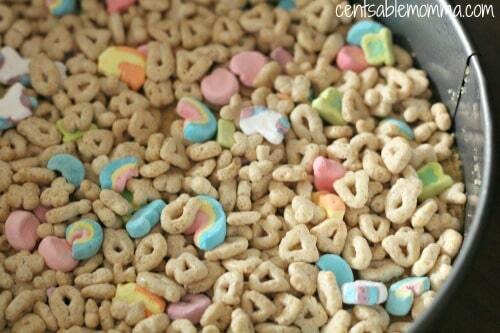 Add in 1 cup of Lucky Charms and stir by hand until well blended. Sprinkle Lucky Charms on top of cheesecake batter.